During the fourth quarter of 2018 a number of manufacturers experience big drops in smartphone sales but according to a new report by Consumer Intelligence Research Partners (CIRP), the operating system had very little to do with it. Through a survey of 500 consumers based in the US, CIRP determined that nine out of every ten people chose to stick with their current operating system throughout the months of October, November and December. Specifically, a whopping 92% of Android users chose not to switch while an equally-impressive 91% of iOS users stayed loyal to Apple’s iPhones. As noted by the CIRP, these are the “highest levels” ever measured and continue the trend of positive loyalty growth which has been seen over the past few quarters. 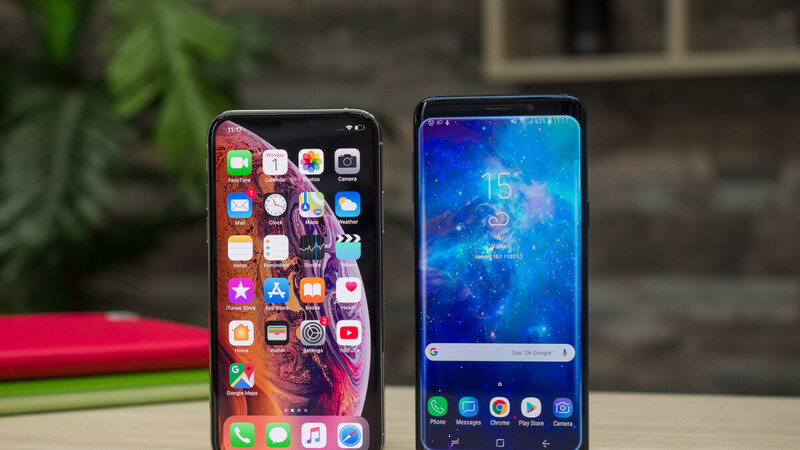 This is largely attributed to the fact that most consumers are now “comfortable” with the consistency and features that their current OS offers. This, coupled with improvements in quality and reliability, is also contributing to the longer upgrade cycles which are being seen lately. Throughout the December quarter, Android smartphones accounted for a significant 62% of all activations in the US market. Apple’s iOS, on the other hand, accounted for 37%. However, as expected from the company, this was down 2% over the 39% market share it held during the same quarter in 2017. Additionally, it’s down drastically from the market share of around 50% that Apple saw with the launch of the iPhone 6 & 6 Plus in 2014. Slowly but surely, in the next few years.. more iOS users will shift to android as they won't anything compelling enough to stick to iOS. You mean timely updates that continuously break something, app quality for most useful apps is on par on both platforms dare I say some Android versions even have more to offer, customer support is not any different from other major Android brand names and integration with other iDevices is a non issue maybe Apple should use more open and readily available technologies so you wouldn't have to go all in on Apple's ecosystem. Why bother with Apple is what I say. "go all in on Apple's ecosystem" Why wouldn't one want to take full advantage of the Apple ecosystem? I disagree. There are reports of people having problems with updates, yes. But it’s not same people, it’s not every update, it’s not like as an iPhone owner I experienced every reported problem- not even close. My wife had an iPhone all thru the years and I’ve been on and off. And we always had an iPad in the household - and we only experienced one reported problem - wife’s iPhone 5 had a power button that failed - and Apple replaced that and the battery (just in case) 1.5 years after warranty expired (2.5yr old device) all for free. I have had every update on every iOS device we owned at that time - and even with iOS 8 which arguably was the worst - we had good experience. I have used a Samsung for several years between iPhone 5s and iPhone X - and it had more issues with updates and just issues that creeped up on their own that required full resets is warranty exchange - and none of that was reported because android devices are so didffferent with all running on various versions that’s it’s difficult to pinpoint one problem that affects a reportable amount of people. Press make the iOS look lot worse than what it is, because every problem and bug about iOS going to be reported so it looks like it's full of problems and more coming all the time, when in reality devices works great for most. This is one reason why Android fans can't understand why people like iOS devices when they are full of "problems". They only know this part which they read from articles, not the reality. Owned many iOS devices since 2009 and can't remember any real bug. Android haters (aple fans) say the same crap about android. Its the same way, some people may have problems and some don't, i have never had a problem with my Samsung phones but someone else may have. Its the same way for both. "Owned many iOS devices since 2009 and can't remember any real bug." I suggest you buy an iPhone and never turn in on then, because that is a ridiculous statement. I had a good few iPhones from 2010 to 2014 and iPads from 2011 to date and everyone has had bugs. As have my Android phones, but to a far lessor degree. Apple haters found nothing bad to say about the way updates happen on iOS devices so they just invented the bulls**t about Apple breaking things just to have something to fix with the next update; the sad part - for them - is that they actually believe this story; they know nothing about iOS, but if someone writes something g on a forum from Zimbabwe about having an issue, they automatically make it to be THE issue :))). I have told them for a few times that it’s not the case, but there’s no reasoning with those haters. Can you talk about a limit that you have found in iOS? A limit regarding the features - what task you can't perform with an iOS based device (and I'm not talking about changing the icons). For me it's simple, Tasker. I can live without customization stuff but without Tasker I can not. Well I can live without of course, but it is keeping me on Android. Tasker is able to perform automated tasks; it still is a great tool, but most of its functionalities are integrated by more and more manufacturers, Apple included. I'm curious what tasks you automate. Of course, there are automation tools on iOS but they don't come close. Basic stuff like changing the colours of my lights when certain notifications come in, can be done using IFTTT. Same goes for lights turning on when you come near a beacon. But I also have a profile that puts my phone on DnD (for when I go to sleep) unless there are lights on (meaning I'm still up). I use my smartphone as my alarm clock. 1st Alarm triggers the bedroom light, 2nd Alarm triggers my coffee machine. I use it to switch on auto-rotate in certain apps. When I turn on my desk lights, my game PC automatically turns on. When I receive a critical server alarm, Tasker will get the log and send it to a couple of people (using email). When double tapping the homescreen, it will lock the screen an revert back to pincode (instead of fingerprint or smart unlock). I can go on for a little while, but you get the point. Remember there was an article about modern tech being boring? You have just provided another prove that it isn't so. I did disagree on that article. Modern tech isn't boring at all, it's just how you use the tech currently available. And a lot of tech is going to the background making our lives easier, but also making us forget that tech is there in the background helping us. That's one thing I do like about Apple, they use tech in a way that it makes life (and using tech gadgets) easier for the non-techies. Some people might call that dumbing down a smartphone, but it's rather smart actually. I know; I have read your comments there and that’s why I brought up that article. There are a lot of people that think Apple’s innovation was the form factor, the display, or some chip, while the real innovation that the iPhone brought was being a smart device to be used with ease by the average Joe. Swipe down from anywhere on the screen to open the Quick Toggles/Notification shade. Lack of an App Drawer to decently organize apps and home screens No Ambient Display option whatsoever(not to mention things like always on display). Lack of split screen, picture in picture. etc. Again with the bulls**t... Give me examples of FUNCTIONS, TASKS. I have quick toggles and notifications, I just have to swipe somewhere else. iOS is a big app drawer, it doesn't have at all a home screen. So, I don't have ambient display (or always on), I have a full display... and I should give a fk because? Give an example of task I can't perform with the iPhone, because I lack pip or split screen (don't give me "watch YouTube while something", because I have an app for that). You have the floor. Sure here's a sample of what prevents me from moving over. -default app selection. -true background app management- some apps require being physically left open in order to function accordingly, namely some bluetooth related smart home apps. -multi screen usage with both sides active. -customization is important to me as I don't want to stare at a screen full of icons like its 2008. I have 150 apps on my single home screen, of which you only see 15 and all are in the bottom three rows where I don't have to invoke some stupid reachability tool to get at. - I would also want to opt out of the walled garden so that I can have quality services managed by me, as an adult. I'm a grown man and don't need Apple to hold my hand on the internet. -expandable storage. In Canada I have a data plan with restrictions (15GB currently) and I certainly don't want to waste data uploading to the cloud when I can have localized storage. -launcher applications. Again, I want customization in my control, not a simple wallpaper change. -back button convenience. Eventually going away in stock format but will be available for years to come. -notifications - while improved on the latest iOS, it still doesnt even compare. Nobody gives a crap about what you prefer to do with your phone and how you like to do it - everything regarding smartphones you have said is available on the iPhone - I have asked for some tasks I CAN’T do AT ALL with an Apple device but I can with an Android one. "true background app management- some apps require being physically left open in order to function accordingly, namely some bluetooth related smart home apps." So far i haven't had situation which isn't possible with how iOS handle multitasking. tasks which need to be active background are able to do that. Widgets on a home page, clear all open apps with one tap, multi-window, split screen, manage storage on phone, a myriad of customization option way beyond changing icons, smart text selection, guest mode, record phone calls, choose default apps, test apps before downloading, access SD cards, play music through headphone jack, store apps off desktop, always on display, communicate via Ant+ to sports accessories, system dark mode, access essential settings direct from camera app .......... to many to mention. I can do on iOS everything in your list (I haven’t found out what should I use multi window for? It would be interesting to know how can I test the apps? ), but you have not presented a single task, you just put a list with WAYS to perform tasks. No you can't. You are just being a fan boy. You can't close all apps with one tap You can't change default apps like maps, browser, video player, launcher You can't automatically record phone calls You can't use split screen/multi window to multitask You can't use Guest mode or create additional users. You can't freely place icons anywhere you want on the home screen You can change the icon grit to fit more apps on the home screen You can't use a feature like Instant Apps so you can't test an app before installing it(and this includes payed games or apps). You can't manage you phone's physical storage(move or rename files physically located on the phone's storage) You can't create apk's(package file format used for distribution and installation of mobile apps) from apps currently find on on your phone. You can't clone apps You can password lock any app found on your phone with a 3rd party solution like it's possible on Android. You can't completely hide apps like it's possible on Android You can't delete an app's cache(basically junk files collected by an app) to free space. On android you can delete the cache and apps data separately for any app. If you delete only the cache you don't lose your app's settings and profiles. Be as delusional as you want but there are quite a few things I can do on my Android phone and are not possible on an iphone. >I can close apps (with swipes).Why would I want to split a tiny screen, when I don’t even split my ultra book 13” screen?I have guided access.Why would I need to create apk’s or clone apps (with my apps it’s illegal to do that, I'm pretty sure it’s illegal with all the apps).